Tom was named PNNL's subsector lead for the EERE Solar Energy Technologies Office (SETO) in April 2018. With a growing focus on grid integration, SETO will benefit from Tom's unique background. Tom is an IEEE Fellow who has spent many years working on inverter technology design and integration of solar systems with the grid. Tom joined PNNL in August 2016 to provide technical leadership and project management for the research portfolio in distribution analysis and automation, demand response, and distributed energy technologies. His primary research focus is on novel simulation, modeling and analysis capabilities. Prior to PNNL, he was at the University of Pittsburgh, MelTran (his own company), Enernex, Ansoft (now part of ANSYS), Electrotek Concepts, PTI (now part of Siemens) and Westinghouse Electric. Tom's career highlights include contributions to OpenDSS and other open-source software, contributions to standards (IEEE 1547, 1410, 1243 and 1749 along with IEC 61968), and contributions to commercial software products (PQWeb, Maxwell, SIMPLORER). He has performed many grid consulting projects that span modeling, analysis and measurements taken in the field. Tom has also taught nine different undergraduate and graduate university courses for credit. At PNNL, his two largest initial projects involve software simulation platforms for transactive energy systems and for Advanced Distribution Management Systems. IEEE Fellow, 2014, "for contributions to modeling and analysis of electric power distribution systems and lightning protection"
McDermott T.E. 2017. "Did You Know - Transactive Energy Provides the Next Big Step in DER Integration." Connected - UVIG Newsletter. PNNL-SA-123492. Melton R.B., K.P. Schneider, T.E. McDermott, and S.V. Vadari. 2017. GridAPPS-D Conceptual Design v1.0. PNNL-26340. Richland, WA: Pacific Northwest National Laboratory. H. Al Hassan, B. Grainger, T. McDermott, G. Reed, "Fault Location Identification of a Hybrid HVDC-VSC System Containing Cable and Overhead Line Segments using Transient Data", IEEE PES T&D Conference & Exposition, May 1-5, 2016, Dallas, TX, 4 pp. T. E. McDermott, "Grid Monitoring and State Estimation", in Smart Grid Handbook, ed: John Wiley & Sons, Ltd, 2016. T. E. McDermott, R. Clark, "Improving a Flipped Electromechanical Energy Conversion Course", ASEE Annual Conference and Exposition, June 26-29, 2016, New Orleans, LA, 17 pp. P. Reiman, T. E. McDermott, G. F. Reed, B. Enayati, "Guidelines for High Penetration of Single-Phase PV on Power Distribution Systems", IEEE PES General Meeting, July 26-30, 2015, Denver, CO, 5 pp. S. B. Swindler, T. J. Dionise, S. A. Johnston, T. E. McDermott, "Using Simulation Tools to Predict and Prevent Vacuum Circuit Breaker Switching Induced Transformer Failures", ASNE Intelligent Ships Symposium, May 20-21, 2015, Philadelphia, PA, 14 pp. S. P. Cortes, T. E. McDermott, A. D. Cardoza, M. J. Korytowski, "Case Study for Sustainable Building Modeling on a University Campus", Engineering Sustainability 2015, April 19-21, 2015, Pittsburgh, PA, 2 pp. S. R. Abate, T. E. McDermott, M. Rylander, J. Smith, "Smart Inverter Settings for Improving Distribution Feeder Performance", IEEE PES General Meeting, July 26-30, 2015, Denver, CO, 5 pp. T. E. McDermott, P. Famouri, S. Polter, "High-Phase-Order Induction Generators for Electric Ships," Naval Engineers Journal, v. 127, n. 2, June 2015, pp. 77-83. 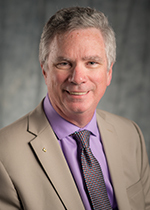 T. E. McDermott, R. Clark, "Revitalizing an Electromechanical Energy Conversion Course", ASEE Annual Conference and Exposition, June 14-17, 2015, Seattle, WA, 18 pp. V. Kounev, D. Tipper, M. Levesque, B. M Grainger, T. McDermott, G. F. Reed, "A Microgrid Co-Simulation Framework", 2015 IEEE Workshop on Modeling and Simulation of Cyber-Physical Energy Systems, April 13, 2015, Seattle, WA, 6 pp. Y. Fang, T. E. McDermott, "Grid Models and Building Models of Residential Energy Loads", Engineering Sustainability 2015, April 19-21, 2015, Pittsburgh, PA, 2 pp. B. Grainger, O. Scioscia, T. E. McDermott, G. F. Reed, E. Lin, "Prediction and Experimental Verification of Core Loss and Temperature Distribution for Geometrically Scaled FINEMET Toroids Using Finite Element Analysis", IEEE APEC, March 16-20, 2014, Fort Worth, TX, 6 pp. B. Grainger, V. Kounev, G. Reed, T. McDermott, D. Tipper, Z. Mao, "Analysis of an Offshore Medium Voltage DC Microgrid Environment – Part I: Power Sharing Controller Design", IEEE / PES 2014 T&D Conference Proceedings, April 15-17, 2014, Chicago, IL, 5 pp. L. Wieserman, T. E. McDermott, "Fault current and overvoltage calculations for inverter-based generation using symmetrical components", IEEE Energy Conversion Conference & Exposition, September 14-18, 2014, Pittsburgh, PA, 6 pp. J. Schoene, T. E. McDermott, R. Walling, C. Pallem, "Evaluating the Response of Surge Arresters to Temporary Overvoltages", Insulator News and Market Report (INMR) World Congress, September 11, 2013, Vancouver, BC, 11 pp. T. E. McDermott, T. A. Short, F. G. Velez, J. S. McDaniel, "Open Source Lightning Protection and Electromagnetic Transients Software", IEEE / PES 2013 General Meeting Proceedings, July 21-25, 2013, Vancouver, BC, 5 pp. T. E. McDermott, "Surge Arresters" section in CRC Electric Power Engineering Handbook: Power Systems, 3rd ed., 2012, 17 pp. T. E. McDermott, "Transient Recovery Voltage" section in CRC Electric Power Engineering Handbook: Power Systems, 3rd ed., 2012, 19 pp. J. Schoene, T. E. McDermott, J. C. Smith, R. Zavadil, J. Lamoree, "Flicker from Distributed Wind Generation", IEEE / PES 2011 General Meeting Proceedings, July 24-29, 2011, Detroit, MI, 9 pp. J. Schoene, T. McDermott, R. Zavadil, L. Freeman, R.Walling, J. Fielder, "Perspectives on New and Emerging Customer Loads and the Impact on Utility Operations", 2011 DistribuTECH Conference, January 31 – February 3, 2011, San Diego, CA, 16 pp. R. C. Dugan, T. E. McDermott, "An Open Source Platform for Collaborating on Smart Grid Research", IEEE / PES 2011 General Meeting Proceedings, July 24-29, 2011, Detroit, MI, 7 pp. T. E. McDermott, "A Test Feeder for DG Protection Analysis", IEEE / PES 2011 Power Systems Conference & Exposition Proceedings, March 20-23, 2011, Phoenix, AZ, 7 pp. T. E. McDermott, C. Dafis, "Cost-Effective Ship Electrical System Simulation", ASNE Intelligent Ships Symposium IX, May 25-26, 2011, Philadelphia, PA, 13 pp. J. G. Cleary, T. E. McDermott, J. Fitch, D. J. Colombo, J. Ndubah, "Case Studies: Interconnection of Wind Turbines on Distribution Circuits", IEEE Conference on Innovative Technologies for an Efficient and Reliable Electricity Supply, September 27-29, 2010, Waltham, MA, 5 pp. R. C. Dugan, R. Arritt, T. E. McDermott, S. M. Brahma, K. Schneider, "Distribution System Analysis to Support the Smart Grid", IEEE / PES 2010 General Meeting Proceedings, July 25-29, 2010, Minneapolis, MN, 8 pp. T. E. McDermott, "Voltage Control and Voltage Fluctuations in Distributed Resource Interconnection Projects", IEEE / PES 2010 T&D Conference Proceedings, April 19-22, 2010, New Orleans, LA, 4 pp. M. Baran, T. E. McDermott, "State Estimation for Real Time Monitoring of Distribution Feeders", IEEE / PES 2009 General Meeting Proceedings, July 26-30, 2009, Calgary, Alberta, Canada, 4 pp. M. Baran, T. McDermott, "Distribution System State Estimation Using AMI Data", IEEE Power Systems Conference and Exposition Proceedings, 2009, March 15-18, 2009, Seattle, WA, 3 pp. M. E. Baran, J. Jung, T. E. McDermott, "Including Voltage Measurements in Branch Current State Estimation for Distribution Systems", IEEE / PES 2009 General Meeting Proceedings, July 26-30, 2009, Calgary, Alberta, Canada, 5 pp. M. E. Baran, J. Jung, T. E. McDermott, "Topology Error Identification Using Branch Current State Estimation for Distribution Systems", IEEE T&D Conference & Exposition: Asia and Pacific, October 26-30, 2009, 4 pp. R. C. Dugan, W. H. Kersting, S. Carneiro, R. F. Arritt, T. E. McDermott, "A Roadmap for the IEEE PES Test Feeders", IEEE Power Systems Conference and Exposition Proceedings, 2009, March 15-18, 2009, Seattle, WA, 4 pp. T. E. McDermott, J. F. Manwell, J. G. McGowan, "A Checklist Approach to DR Interconnection and Impact Studies", IEEE / PES 2009 General Meeting Proceedings, July 26-30, 2009, Calgary, Alberta, Canada, 4 pp. J. Schoene, T. E. McDermott, "Modeling Large-Scale Power Systems with Frequency-Dependent Transmission Line Models", IEEE / PES 2008 T & D Conference Proceedings, April 20-23, 2008, Chicago, IL, 7 pp. T. E. McDermott, "Designing and Maintaining a Pollution-Resilient Electric Power System", IEEE / PES 2008 T & D Conference Proceedings, April 20-23, 2008, Chicago, IL, 4 pp. T. E. McDermott, "Open Source Data Translation for Distribution System and Transient Modeling", IEEE / PES 2008 T & D Conference Proceedings, April 20-23, 2008, Chicago, IL, 6 pp. T. M. Smith, B. A. Muschlitz, F. R. Goodman, T. E. McDermott, "Advanced Feeder Design for Distributed Generation", IEEE / PES 2007 General Meeting Proceedings, June 24-28, 2007, Tampa, FL, 6 pp. N. Samaan, T. E. McDermott, R. Zavadil, J. Li, "Induction Machine Test Case for the 34-Bus Test Feeder – Steady State and Dynamic Solutions", IEEE / PES 2006 General Meeting Proceedings, June 18-22, 2006, Montreal, Canada, 5 pp. T. E. McDermott, "Line Arrester Energy Discharge Duties", 2006 IEEE/PES T&D Conference and Exposition Proceedings, 21-26 May 2006, Dallas, 5 pp. T. E. McDermott, R. Juchem, D. Devarajan, "Distribution Feeder and Induction Motor Modeling with VHDL-AMS", 2006 IEEE/PES T&D Conference and Exposition Proceedings, 21-26 May 2006, Dallas, 6 pp. T. E. McDermott, R. C. Dugan, "PQ, Reliability and DG", IEEE Industry Applications Magazine, vol. 9, no. 5, pp. 17-23, September/October 2003. R. C. Dugan, T. E. McDermott, "Distributed Generation", IEEE Industry Applications Magazine, vol. 8, no. 2, pp. 19-25, March/April 2002. (Prize Article for 2002). R. C. Dugan, T. E. McDermott, D. T. Rizy, S. J. Steffel, "Interconnecting Single-Phase Backup Generation to the Utility Distribution System", 2001 IEEE/PES T&D Conference and Exposition Proceedings, vol. 1, pp. 486-491, 28 October – 2 November 2001. T. E. McDermott, V. J. Longo, "Advanced Computational Methods in Lightning Performance - the EPRI Lightning Protection Design Workstation", Proceedings IEEE Winter Power Meeting, pp. 2425-2430, January 2000, Singapore. R. C. Dugan, D. L. Brooks, T. E. McDermott, A. Sundaram, "Using Voltage Sag and Interruption Indices in Distribution Planning", Proceedings IEEE Winter Power Meeting, pp. 1164-1169, February 1999, New York, NY. R. C. Dugan, T. E. McDermott, "Design of Interfaces for Power Systems Analysis Components", Proceedings IEEE Summer Power Meeting, pp. 852-857, July 1999, Edmonton, Alberta. P. Zhou, T. McDermott, Z. Cendes, M. Rahman, "Steady State Analysis of Synchronous Generators by a Coupled Field-Circuit Method," paper TA1-3, IEEE International Electric Machines and Drives Conference Proceedings, May 18-21, 1997, Milwaukee, WI, 3 pp. T. McDermott, P. Zhou, J. Gilmore, Z. Cendes, "Electromechanical System Simulation with Models Generated from Finite Element Solutions," IEEE Transactions on Magnetics, vol. 33, no. 2, pp. 1682-1685, March 1997. T. E. McDermott, T. A. Short, J. G. Anderson, "Lightning Protection of Distribution Lines," IEEE Transactions on Power Delivery, vol. 9, no. 1, pp. 138-152, January 1994. L. Elkins, A. C. Jain, T. E. McDermott, V. Rees, "Transients During 138-kV SF6 Breaker Switching of Low Inductive Currents," IEEE Transactions on Industry Applications, vol. 29, no. 4, pp. 721-726, July/August 1993. R. P. Broadwater, J. C. Thompson, T. E. McDermott, "Pointers and Linked Lists in Electric Power Distribution Circuit Analysis," IEEE PICA Conference Proceedings, Baltimore, pp. 16-21, May 1991. Bhasavanich, T. E. McDermott, D. M. Milone, J. S. Barnick, L. S. Frost, C. F. Kropp, "Digital Simulations and Field Measurements of Transients Associated with Large Capacitor Bank Switching on Distribution Systems," IEEE Transactions on Power Apparatus & Systems, vol. 104, no. 8, pp. 2274-2282, August 1985. N. C. Abi-Samra, R. F. Smith, T. E. McDermott, M. B. Chidester, "Analysis of Thyristor-Controlled Shunt SSR Countermeasures," IEEE Transactions on Power Apparatus & Systems, vol. 104, no. 3, pp. 584-597, March 1985. T. H. Frick, J. R. Stewart, A. R. Hileman, C. R. Chowaniec, T. E. McDermott, "Transmission Line Insulation Design at High Altitude," IEEE Transactions on Power Apparatus & Systems, vol. 103, no. 12, pp. 3672-3680, December 1984. W. H. Cole, T. E. McDermott, "A Computer Study and Model Demonstration of Safety Ground Locations During High Voltage Line Maintenance," IEEE Transactions on Power Apparatus & Systems, vol. 103, no. 3, pp. 455-462, March 1984.